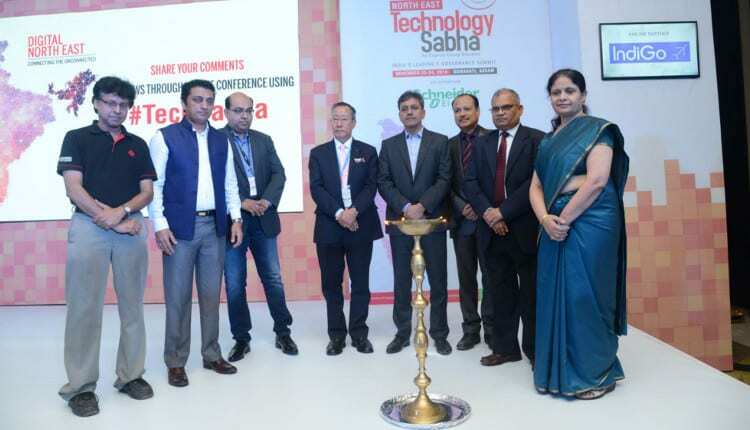 Riding on its positioning as the foremost e-governance technology conference in India, Express Technology Sabha, the flagship event of Express Computer, stressed its focus on the North East region with the maiden edition of North East Technology Sabha. Held from November 23 to 24 in Assam’s capital Guwahati, the conference served as a dedicated platform for the eight North Eastern states to deliberate the various facets of e-governance, including the current challenges and the ways to address them, thereby providing citizen-centric services in the region, which has been largely unserved until now. The event witnessed participation of key IT decision-makers from government and public sector organisations, alongwith IT solution providers – all coming forward to discuss how ICT can be leveraged to make a truly ‘Digital North East’. Whereas, the Technology Sabha eGovernance Recognition Awards brought to the fore some of the most successful and benchmarking technology deployments by North Eastern state governments and PSUs. In her keynote address, Dr Neeta Verma, Director General, National Informatics Centre (NIC), Government of India, provided a holistic overview of how ICT has evolved citizen services delivery over the last three decades, and why there’s a need to focus on emerging technologies such as artificial intelligence (AI), Internet of Things (IoT), machine learning (ML) among others, to ensure future-ready governance. The success of NIC efforts can be relfected by the fact that e-office initiative now encompasses over 334 organisations and more than 2.60 lakh users. Sharing what’s planned ahead, Dr Verma informed that NIC is trying to include data analytics in the e-way bill system. Dr Rai also expressed that the North East region will play a major role in India’s trillion dollar digital economy in the future. Citing an example of STPI’s efforts in the region, he mentioned that STPI has so far allocated 2,400 seats in the BPO sector in North East. Echoing Dr Rai’s views, Nitin Kumar Shivdas Khade, Secretary to the Government of Assam, Finance Department, expressed that IT ecosystem can’t develop in isolation, and ideal facilities are critical for its ushering. This will also bring in more technically qualified manpower. One of the major upcoming initiatives in Assam is the development of the Tech City, which will position the state among the leaders in India’s technology space. M K Yadava, MD, Assam Electronics Development Corporation (AMTRON) expressed that the Tech City’s focus will be primarily on emerging technologies. “We want to build an ecosystem in the state, wherein investors will be attracted on their own; in the next eight months, a lot will change significantly in the state’s IT space,” he said. In the area of smart policing – a vital component of e-governance – it’s important to have solutions that connect people with the law enforcement authorities to ensure greater vigilance in the society. Citing the need of the hour, Harmeet Singh, ADGP – Modernisation, Assam Police, in a sesson titled ‘Seeking Digital Innovation to Connect North East’, stated, “Human trafficking, car theft, abduction, etc, are rampant in the North East region. We have to come up with new innovations in order to curb these activities; North East Police (NE Police) is our initiative in this direction, wherein we are bringing the police and citizens together in all North Eastern states.” Singh further shared that the entire NE Police application has been implemented at a cost of ` 16 lakh, which is significantly less than other such initiatives. Giving insights on some of the efforts in Nagaland, Vizo informed that the state has tied-up with Estonia’s E-Governance Academy. He also stated that Nagaland is the only state in India, where the state IT department is running the SDC without engaging with a private data centre operator; and also the first state to start a pilot project for National Information Infrastructure (NII) and introduce an Aadhaar-based biometric system in the state civil secretariat. One of the major hurdles facing North East India is connectivity, due to its hilly terrain – this was reflected in a knowledge-packed panel discussion at the conference. The panel, moderated by Mohd Ujaley, Special Correspondent, Express Computer, was participated by Anurag Saxena, Director – Digital Government, SAP India; Timothy Dkhar, DDG, National Informatics Centre, Meghalaya; Dr Shailendra Chaudhari, Managing Director, NERCORMP, Government of India; and Piyush Somani, MD & CEO, ESDS Software Solution. The discussion began with Ujaley highlighting some of the impressive work done in the North East region. He was of the view that despite the biggest challenge of connectivity, there are ample areas which can be made smart. Participating in the discussion, Dkhar shared some examples from Meghalaya as to how the state is trying to address the challenge of connectivity in the state. In addition, he also shared the details about some of the key projects being implemented by NIC. He especially emphasised the role played by NIC in the integration of competitive examinations in the state, which once was a huge a challenge. Sharing his organisation’s tryst with technology, Dr Chaudhari said that NERCORMP works at the grass-root level in the North East region. He explained that these areas are difficult to reach and a large part does not have reliable internet connectivity. And now, his organisation is trying to use technology to ensure that the work is further streamlined. Agreeing with the views that there is a connectivity challenge in the region, Saxena said that Communication Service Providers (CSPs) have a bigger role to play in the region. He also emphasised that there are technologies available which convert heavy applications into the lighter ones. He suggested, in areas facing connectivity challenges, government organisations can use light applications for running government services. Saxena asserted that digital transformation has a lot to offer to the government and now is the right time to go digital. Extending his views, Somani stated that significant amount of work has happened in the area of e-governance, but more efficiency and agility need to be brought in the government space. He said, this could be done by overhauling the traditional IT infrastructure with the use of emerging technologies. On the challenges in the region, he added that the biggest challenge to government organisations is poor after-sale services, which have to be improved. He said that both government organisations and private companies need to work jointly on this. Another panel discussion stressed on innovative use of technologies for improving governance. Moderated by Srikanth RP, Group Editor, Express Computer and CRN India, the panel consisted of Ram Muivah, Secretary, North Eastern Council, Government of India; K D Vizo, Commissioner & Secretary – IT, Government of Nagaland; LS Changsan, Principal Secretary – Home Department, Government of Assam; Harmeet Singh, ADGP – Modernisation, Assam Police; Amit Bansal, Senior Consultant, Smart City, HPE India; Kunal Sama, Senior Consultant, SAS; Karishma Chhabra, Senior Manager, Biz Operations & Accessibility, Microsoft India; and Chandrashekar Miraskar, Director – Enterprise Sales, Schneider Electric (IT Division). Vizo expressed that there is a significant gap between North East and the rest of the country. However, citing his own state’s example wherein a State Data Centre is operated completely by the government, Vizo expressed optimism. Additionally, Nagaland has also made e-tendering mandatory in the state. “Our next aim is to create a citizen-centric services act, with the help of an US organisation,” he stated. Sharing Assam’s efforts, Changsan said that the state has made multiple strides in IT and e-governance despite connectivity issues. “Our aim is to ensure digital connectivity in every household in the state. Recently, the state finance department has undergone digital transformation, wherein all sanctions are done online. Whereas, in the education sector, we have done GIS mapping of over one lakh schools, linking them with School Education Survey. Additionally, Assam Police is in the process of digitising all FIRs,” she said. Providing more insights into Assam Police’s efforts, Singh affirmed that policing, coupled with technology, can significantly boost effectiveness. “We are now coming up with a new cyber facility and emerging response system,” he said. 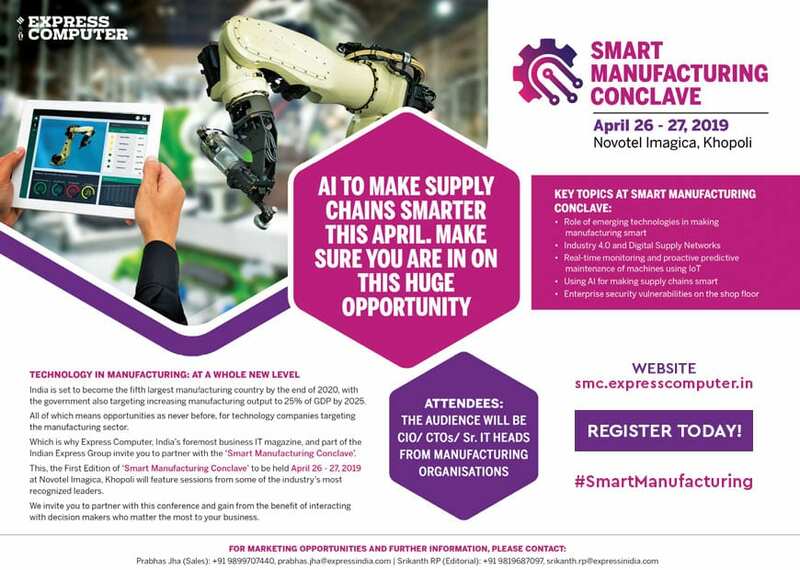 Industry 4.0 is now a reality and organisations across the world are using the power of AI and cloud computing, among other emerging technologies. The government sector is also leveraging these technologies for citizen services, in order to stay ahead in delivering governance. Citing examples of use cases globally, and Micosoft’s initiatives, Manish Prakash, Managing Director – Healthcare, Education and Public Sector, Micosoft India, mentioned how farmers in India are using AI to increase crop yields. He spoke about AI-based seed sowing, resulting in 30 per cent higher yields. He informed, “We are also working with one of the leading hospitals to come up with a model to predict diabetes in advance,” adding that the state of Assam is taking big steps towards digital transformation. In another session focusing on ‘Inclusiveness for All’, Karishma Chhabra from Microsoft stated that technology doesn’t serve its purpose if it’s not inclusive in nature; and accessible technologies empowers everyone and boosts productivity, adding that AI and ML offer seamless possibilities, but they should be used effectively. In a separate session, Gaurav Srivastav, Technical Strategist, Microsoft India provided an interesting demo on realtime crowd insights and realtime driver monitoring. New technologies are rapidly boosting digital acceleration, and there has been a huge shift towards Edge. Data is growing on Edge, thereby facilitating growth of analytics on Edge as well. “In order for solutions to deliver value, we have to focus on five pillars – service quality, inclusion, cost and efficiency, outcomes and trust. In the area of e-governance, hybrid IT will enable rapid delivery of citizen services,” said Debashish Dutta, Country Manager – Smart City, HPE India, in a session titled ‘Digital acceleration in smart cities’. Dutta also suggested independent systems with intergrated command control centre (ICCC) for smart cities, citing the example of a common ICCC in Madhya Pradesh. In another session focusing on future-proofing citizen services with AI and ML, Manav Sehgal, Head of Solutions Architecture, Public Sector at Amazon Internet Services (AISPL), sensitised the audience about human-centric technologies and how Amazon is positioned in the market with its initiatives, products and solutions. He further shared how Amazon leverages AI, ML and NLP in its solutions. In a separate un-conference session, Sehgal had an interactive discussion with the audience, addresing their concerns and how they can overcome them. For Schneider Electric, data centre solution is among the leading drivers for its IT division business. As pointed out by Chandrashekar Miraskar, Schneider Electric has the largest portfolio of connected, smart data centre components. In terms of market, the company has a large presence in India, with a global R&B hub in Bengaluru and 24 factories. Miraskar commented, “Pressure on data centres is increasing, which calls for better power and cooling solutions, thereby creating ample opportunities for us. We follow a structured approach for lifecycle services for data centres,” adding that the company has worked with Assam and West Bengal for their state data centres. One of the top priorities for today’s digital-focused governments is establishing seamless ways to connect with citizens. Manickavasagam Periakuppan, Director – Cloud Insight, Oracle India, remarked, “Governments have realised the need to move to citizen-centricity. New technologies can provide value to citizens, when used in the right manner; this requires proper framework. Monolithic enterprise architecture needs to be modernised to support the changing needs of citizens. DevOps, APIs, etc, are some of the ways to constantly make enhancements.” He also informed how NITI Aayog, along with Oracle, is working on a real drug supply chain using blockchain decentralised ledger and IoT software. India has the foundation ready for the next wave through pioneering initiatives like Aadhaar, CSCs, DigiLocker and MyGov, among oters. AI is said to be among the major drivers for Smart Governments with its multiple use cases. Cloud is a known reality, with case studies showing how more and more orgnisations have started their cloud journey. However, for those organisations that are planning to move to cloud, choosing between private and public cloud is difficult. In his session, Dr Rajeev Papneja, EVP & COO, ESDS Software Solution, said, “A cloud-first strategy doesn’t mean just public cloud. Hybrid cloud is the solution.” He also stressed on how ESDS is uniquely positioned in the market with its vertical scaling model. Dr Papneja pointed out that ESDS is the only company to offer this model, for which it holds a 20-year patent. Applauding the Government of Nagaland for its success of the state data centre, despite connectivity challenges, Abir Banerjee, CTO, HPE Aruba, showcased how HPE Aruba has succesfully provided last mile connectivity in Rajasthan, through RajNet project, in addition to Mumbai’s public Wi-Fi network – India’s first, largest public hotspot deployment. He said, “We live in a society where everything computes. Intelligent governance will be about deep learning in the future, and we are focused on hybrid IT and Intelligent Edge,” while further sharing an use case of realtime asset tracking. In a session on ‘Collaboration for Digital India’, Sarthak Das, Territory Account Manager, NE & Odisha, Polycom, spoke about Polycom’s products and key differentiators, while stressing that India is one of the leading markets for the company. In a separate session, Virender Kumar, AGM – PSN, Panasonic India presented the company’s diverse portfolio, including the PBX series solutions and the new HDVC, which is interoperable with all kinds of legacy systems. He also reiterated that Panasonic products’ hardware failures are less than 0.5 per cent. In an interactive session themed, ‘Transforming connectivity and security for digital networks’, Ajay Dubey, India Channel Head and Brijesh Miglani, Pre-sales Lead at Forcepoint, pointed out how multiple security products without co-ordination is a challenge for organisations. With an aim to address the challenges faced by government organisations in Smart City projects, the power discussion by AWS focused on the different facets of Smart Cities in India, including smart infrastructure, smart water and waste management, connected cities, public safety, environment, among others. The discussion was led by Deepti Dutt, Head – Strategic Initiatives, Public Sector, AISPL. During her interaction with the participants, she explained the role of technology and ICT in Smart Cities in India and how AWS can help organisations achieve some of those milestones. The power discussion primarily focused on smart infrastructure, customer stories, Smart City as a Service, and views of the participants on the cloud and why they should rely on AWS. The power discussion conducted by Microsoft India began with representatives from Microsoft India presenting their views on how the workplace is changing in India. They explained about different communication needs of different types of staff. Today, enterprise communication landscape is changing – there are people working in the office, many are in the field and many are at the offsite location, with different communication needs. 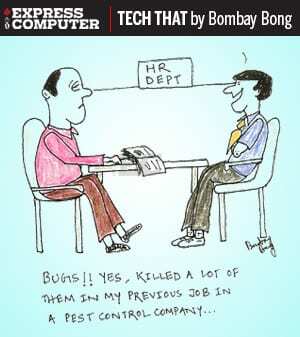 An organisation needs to be ready to offer good experience to their employees on all platforms. Microsoft India representatives highlighted that mobile is penetrating and it has become a de-facto means of communication, therefore government organisations must make themselves ready for the mobile era. While sharing details about some of the products from Microsoft India that focus on enterprise communication, the team said that Microsoft India has an end-to-end solution for any communication need of government organisations. During a power discussion, S Rajesh Kumar, Tech Lead, Juniper Networks highlighted how SDN and SDWAN are changing the dynamics of networking. While explaining the changing nature of security challenge and how companies are trying to address the issue, he pointed out that security is no longer only about perimeters. He was of the view that application based security has become critical. Kumar also shared information about Juniper’s Junos Fusion technology. He said, “Junos Fusion provides a method of significantly expanding the number of available network interfaces on a device—called an aggregation device—by allowing the aggregation device to add interfaces through interconnections with satellite devices. The entire system—the interconnected aggregation device and satellite devices—is called a Junos Fusion. A Junos Fusion simplifies network topologies and administration because it appears to the larger network as a single, port-dense device that is managed using one IP address. The discussion by Oracle India began with representatives presenting their views on the importance of digital governance. A representative explained about the concept of open data and the role of emerging technologies in government organisations. Team Oracle was of the view that technologies like blockchain, AI and ML can play an important role in digital governance. On blockchain, the Oracle India team said that they have an entire ecosystem of blockchain that can help government organisations in data mapping, administration and data sharing. The participants in this discussion expressed their desire for robust security mechanisms around emerging technologies. ESDS Software Solution’s power discussion began with Dr Papneja giving a broad overview of the ESDS and its niche products around cloud and data centre and how governments and enterprises could use them to make themselves more efficient and agile. During the discussion, Dr Papneja along with his colleagues explained how ESDS’ vertical scaling is model better than the horizontal scaling of other data service providers. On his eMagic product, he said, “eMagic is a web based system that is widely used for IT asset management, device deployment, and comprehensive server monitoring and network management in data centres spread across different geo-locations.” He further said that eMagic works on a three-click concept – build, deploy and manage. Dr Papjena also spoke about eNlight 360° cloud solution from ESDS which comes with a full blown hybrid cloud orchestration layer along with complete data centre management suite – eMagic (DCIM) and security scanner (MtvScan). Titled, ‘Analytics self-service and data democratisation’, the power breakfast session by SAS highlighted the immense potential of analytics in the public sector. Sharing more, Kunal Sama, said, “The data volumes of today surpassed past estimates. Our value proposition of self-service business intelligence and approachable analytics ensures actionable insights.” Responding to the audience on the concern of data collection and digitisation, he informed that SAS can then address the challenge with the help of its partners. Besides, consulting partners, SAS also has large IT partners and Tier 2 and Tier 3 partners, ensuring seamless processes. To a question on predictive analysis for maintenance renewal in the power industry, the SAS team informed that the company has a focused footprint in the power sector as well, with its offerings on predictive analysis for maintenance renewal and energy forecasting. “Moreover, the Ministry of Statistics, defense sector, conmmercial tax, law enforcement, department of IT, etc, are some of the other areas where SAS has its presence. We are working with states like Andhra Pradesh, Maharashtra, Rajasthan, wherein our solutions are already benefitting citizens,” said Sama.